Built in the iconic Iguana Joes building right on Brisbane Water, this stunning restaurant has become an icon in itself. A menu of seafood, steak, woodfired pizza, burgers and more, the food is amazing. Fully licensed and with a cocktail bar there is an impressive and delicious range of alcoholic drinks. The Coast Bar also has a functions room, looking directly over the water, that is used for corporate team events, parties, weddings. 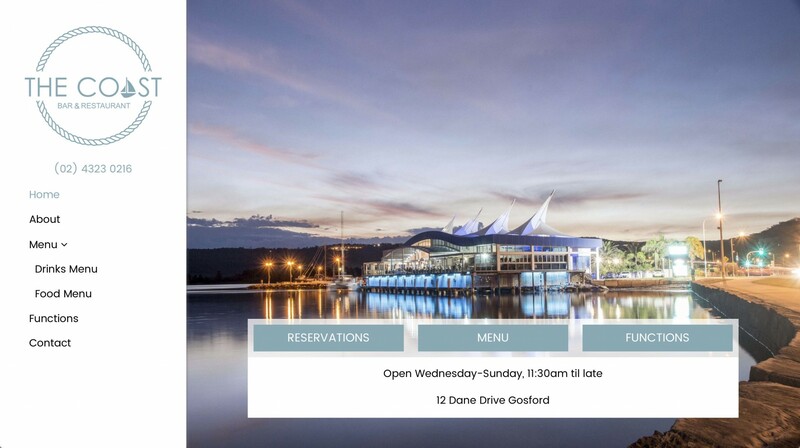 If you are planning a function in Gosford you must check out The Coast Bar and Restaurant.